*** ... is only a fraction of what makes our rooms as well as our guest lounge heavenly. The bed becomes an observation point to look out at the panoramic view ranging from Hittisberg over the Hohen Ifen to the Dornbirner First an the Swiss mountains, which lie behind. Whoever can break him or herself away from this lookout can enjoy an elaborate breakfast buffet to give you energy for the tennis court or the open-air swimming pool, for the solitude of fishing or to fall in love with the extensive, legendary hiking region. 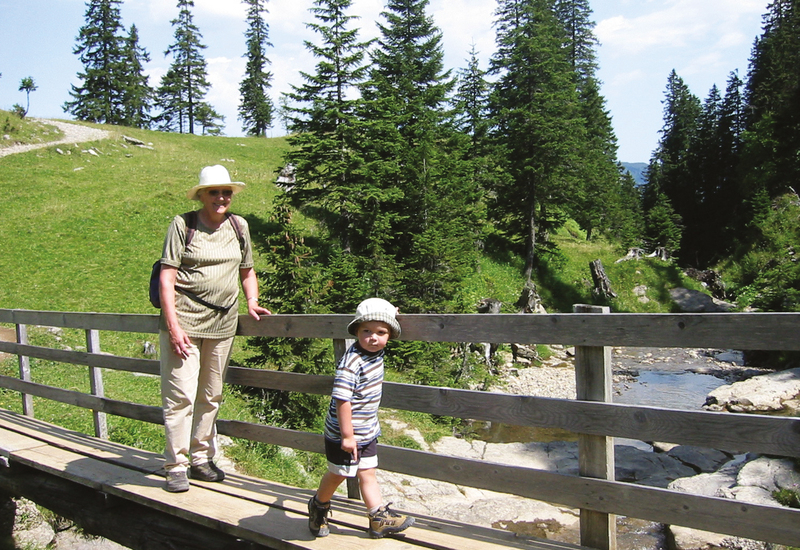 Hittisau offers a multitude of hiking possibilities with its ample hiking area. By special requests small or larger hiking groups are guided by the hiking specialists that belong to the house. Welcome in summer and autumn to the Bals guesthouse!